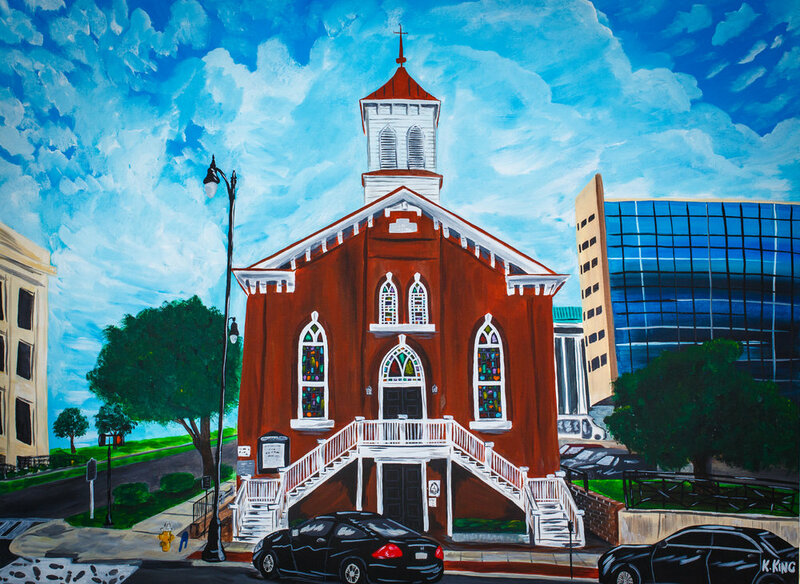 The King's Canvas is a 'creative placemaking' space providing an open door for under developed and UNDEREXPOSED ARTISTS in Montgomery, alabama. The King’s Canvas is a non-profit studio/gallery in west Montgomery, Alabama. 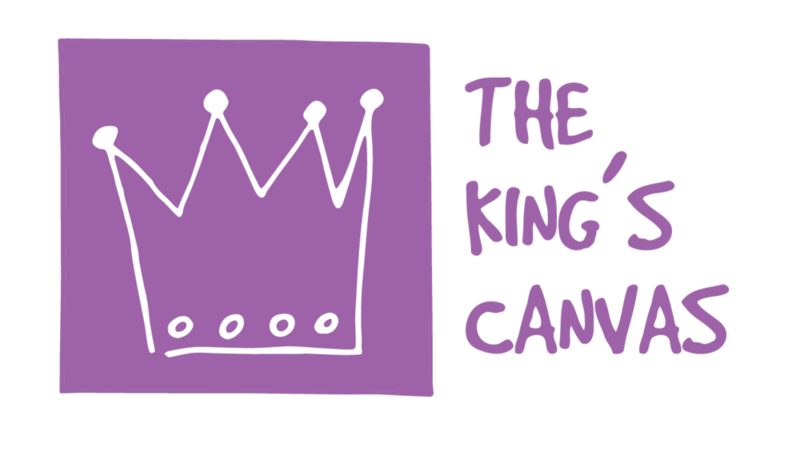 The King's Canvas was founded by Kevin King and has its focus providing a creative space and resources for underexposed and underdeveloped artists in the Montgomery, Alabama community. While downtown Montgomery Alabama is exploding with art activity and an abundance of resources, evidence has shown that several artists, (particularly in West Montgomery and other areas on the margin of the city) lack formal networks, access to tools, and affordable spaces to freely create or display their work. Furthermore, many of these artists have not received the formal entrepreneurial training, life skill development training, affordable studio rentals, and exhibition space needed for their talents to thrive. The King’s Canvas will provide artists on the West Side and other areas on the margins of the city with comparable resources so they too can thrive from their talents. Creative Placemaking strategies will position The King’s Canvas to cultivate economic development in West Montgomery, which will have positive outcomes in the health and public safety of the community. Providing access and opportunities to underdeveloped artists is our goal. We believe if we create an environment where equitable practices are implemented, it will be mutually beneficial to our city as well as the artist. 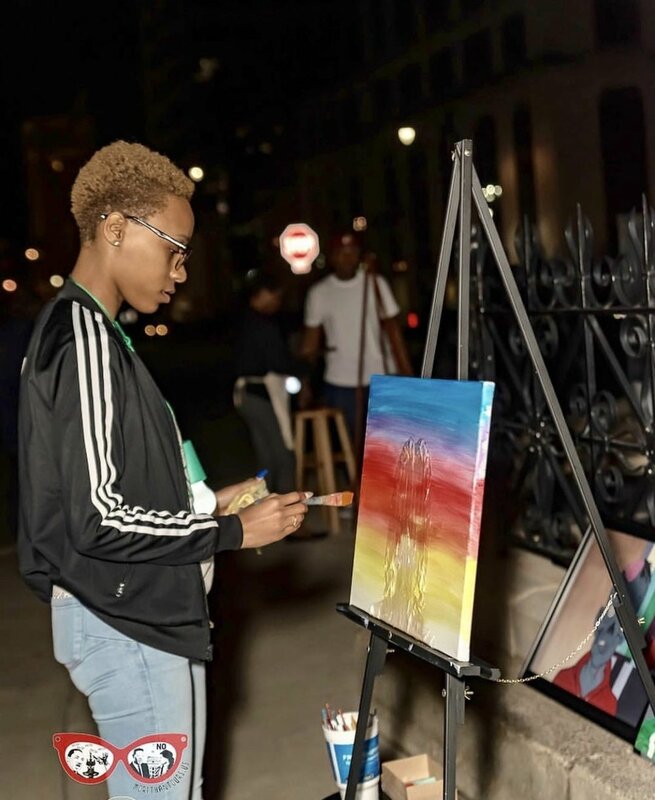 The King’s Canvas is a first step in preparation of connecting under resourced artists with more opportunities in the broader art community in Montgomery. These opportunities will combat poverty, lack of education, lack of resources and mental health. Connectivity in our city, state, nation and the world is what is needed to propel their work or their brand. “Creative Placemaking” engages diverse people and the arts in designing and planning projects that reflect, celebrate, and inspire local culture, heritage, and values within a community. It strategically shapes the physical and social character of a neighborhood or city to improve economic development, and social change. Simply put, it gives the arts a seat at the community development table. Kevin King is a native of Mobile, Alabama. He, his wife Nicole and daughter Kaiya currently reside in Montgomery, Alabama. Kevin and his family live in the Washington Park neighborhood and their passion is to love, serve, and share life with others for the purpose of transformation and redemption as leaders are developed and empowered in their community. In 2013, Kevin's wife and daughter gifted him art supplies for Father's Day. Nicole's statement to Kevin boldly suggested that she was officially taking away his excuses not to create. That following July Kevin’s wife broke her wrist and he played nurse for a full week after the surgery. He got bored during the times that Nicole rested, so he decided to put those paint supplies to use. 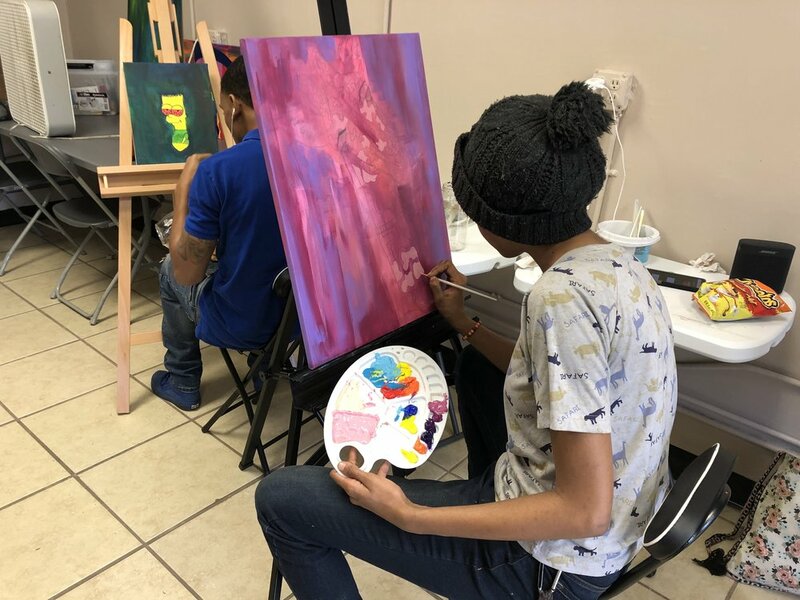 After re-engaging in the arts after sixteen years Kevin found a new place of freedom and peace in using his creative talents. Kevin desires for all creatives to experience joy, freedom and the benefits that he receives when he creates. He is a selfless individual who relentlessly opens doors for others once he realizes that others do not have the same opportunities. Art classes for Sidney Lanier and George Washington Carver High School Students. Art classes for adults who live in Washington Park, Gibbs Village and surrounding communities. 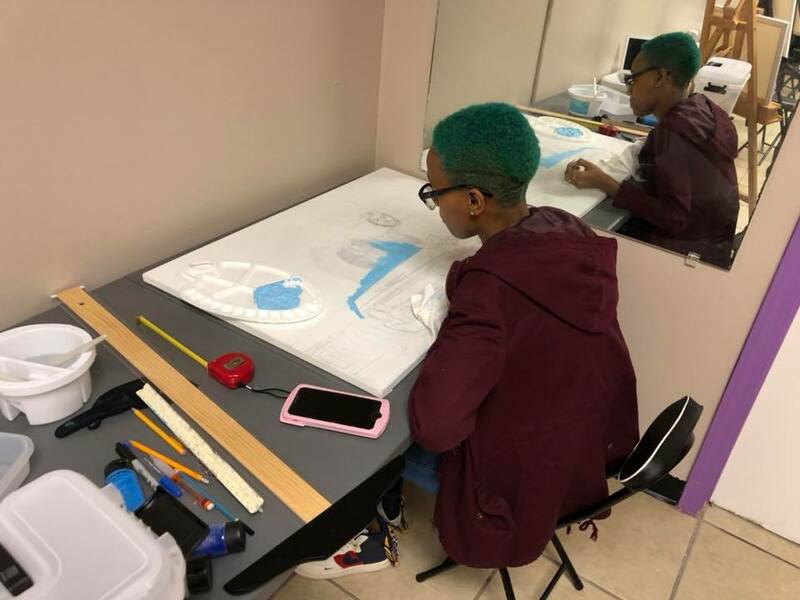 Exposure to established Montgomery artists who will teach various artistic techniques. Students are given art supplies for their specific visual arts medium. Financial literacy, entrepreneurship and lifeskill development classes. Open studio time to cultivate artistic skill and technique. Quarterly art shows that will allow students to sell artwork and encourage network building. Please consider making a difference in our community and in the lives of our neighbors by becoming one of our financial partners. The King’s Canvas would not be able to function without financial partners. For online donations we use PayPal. Please be sure to include your address for end-of-year receipts for tax purposes. You can find our paypal link below. Submit a voided check to us in order to set up a reoccurring monthly gift with your financial institution. You may give the voided check directly to us or mail it to the below mailing address. Please make checks payable to “The King’s Canvas” and mail them to our UPS Store mailing address. A safe and creative art space. Art kits for The King’s Canvas students. Art shows that provide exposure for our students. Financial resources to secure leading art teachers. Lifeskill development teachers and staff who will effectively advocate for our art students in a way that is both life changing and developmentally prosperous.